U.S. Rep. Pete Olson on Tuesday walked back comments he had made on local radio in which he accused — without evidence — former President Bill Clinton of admitting to the murder of deceased aide Vincent Foster. 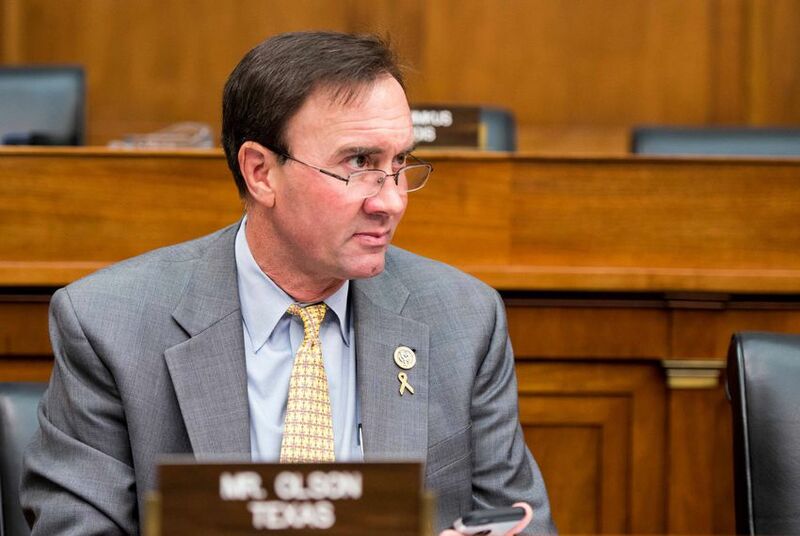 WASHINGTON — U.S. Rep. Pete Olson, R-Sugar Land, on Tuesday walked back comments he had made on local radio in which he accused — without evidence — former President Bill Clinton of admitting to the murder of a deceased aide and of threatening former Attorney General Loretta Lynch. In discussing a now-infamous episode from last year in which Clinton had a tarmac meeting with Lynch, Olson speculated on local radio that in that conversation, Clinton admitted he was a party to the 1993 death of White House aide Vincent Foster and essentially threatened some similar form of retribution against Lynch if she did not drop an investigation into former Secretary of State Hillary Clinton's email server. There is no evidence Clinton said such a thing to Lynch, and every single official arm of the government that has investigated Foster's death has ruled it a suicide, including the U.S. Park Service Police, the Department of Justice, the FBI, two independent counsels and the U.S. Congress. Yet for over two decades, conspiracy theorists have continued to make meritless accusations that the Clintons had some form of sinister involvement with Foster's death. Olson's comments were made on June 9 but surfaced on Tuesday via a liberal group called Right Wing Watch, which is an arm of the People for the American Way.